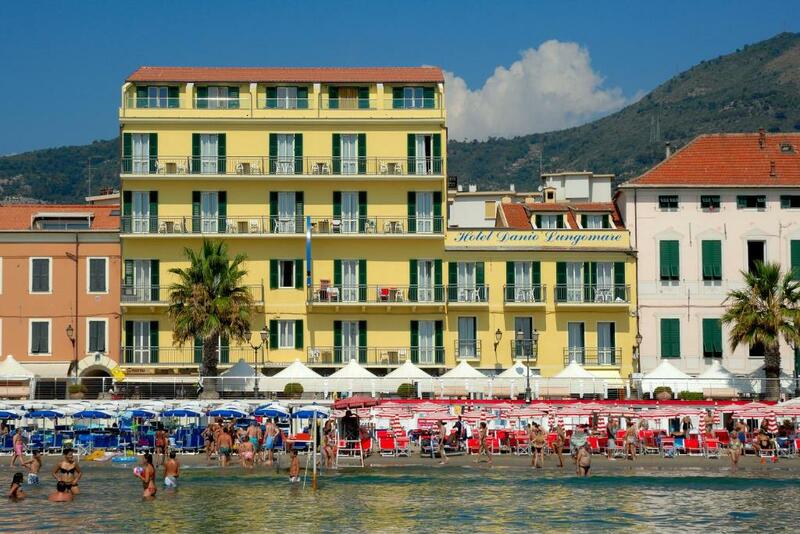 Lock in a great price for Hotel Danio Lungomare – rated 9 by recent guests! I wish every hotel and staff were like this. It's located on a sandy beach with only a boardwalk Separating the hotel from water. Shopping and 1st class restaurant's are everywhere. And it's easy walking distance to the train station.the staff is multi-lingual and extremely nice and competent. Friendly staff and nice clean rooms. Great view of the sea from our balcony! Lovely clean great location and even though our room did not have a sea view we had a great balcony with town and mountain views. There was a fridge in the room and it was a good size and very comfortable. Unfortunately we were only passing through - we could have stayed a week! 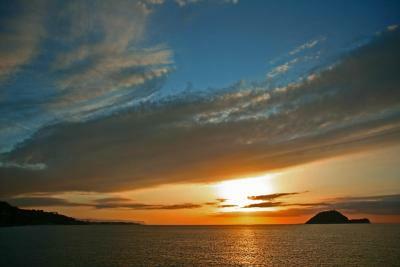 Great view and seaside location. Beatutiful room at 5th floor. Very welcoming and helpful staff all aspects at all times. Very good breakfast. Acceptable WiFi. Excelent half and full board. Lovely staff. 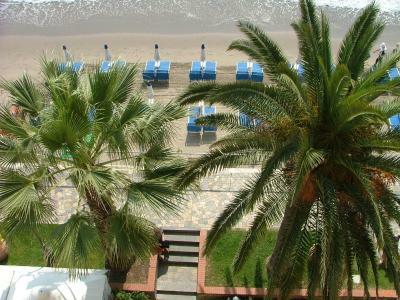 Stunning view from the room/sea, right in front the beach. Very friendly staff. They kindly cancelled our initial reservation without any charges and were always helpful and kind. Good breakfast. Il personale e' gentilissimo e cerca di venire incontro alle necessità. 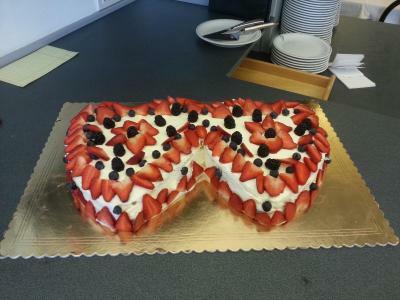 Io da celiaco ho potuto fare colazione con prodotti senza glutine. Bravi!!! Hotel Danio Lungomare This rating is a reflection of how the property compares to the industry standard when it comes to price, facilities and services available. It's based on a self-evaluation by the property. Use this rating to help choose your stay! 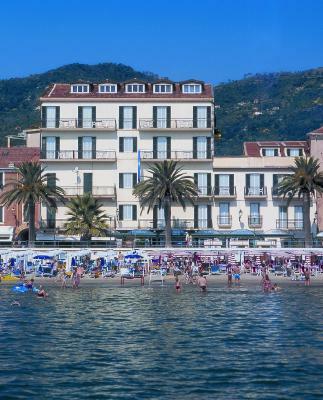 Facing the Mediterranean Sea and right next to the shopping area of Alassio, Hotel Danio Lungomare is a family-run hotel offering air-conditioned rooms. Bike rental is free of charge. 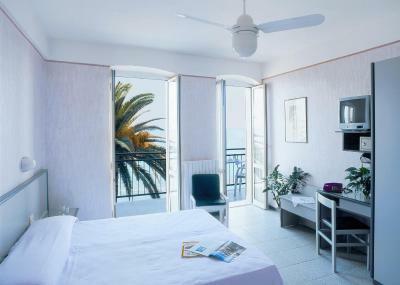 The rooms at the Danio Lungomare come with tiled floors and an LCD TV with satellite channels. The bathroom is complete with a hairdryer and free toiletries. Some rooms have a sea view. Breakfast is served buffet style and consists of sweet food. 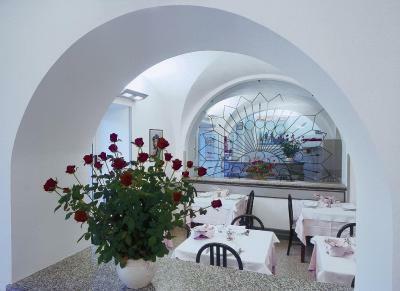 The hotel’s restaurant serves local dishes and a bar is also available. Guests can enjoy free Wi-Fi and wired internet in the common TV room on the first floor. The reception works 24 hours a day. 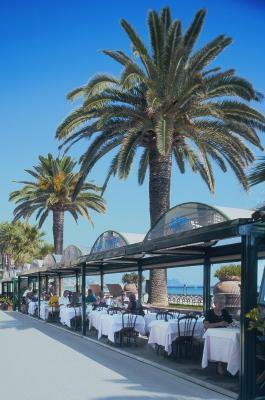 Alassio Train Station is a 10-minute walk away. 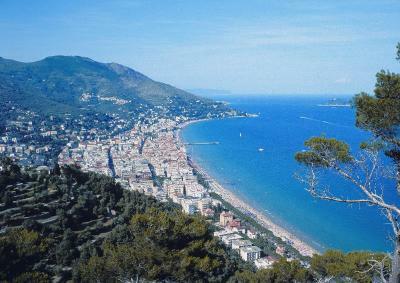 Savona is 34 mi away and San Remo is 40 mi from the hotel. 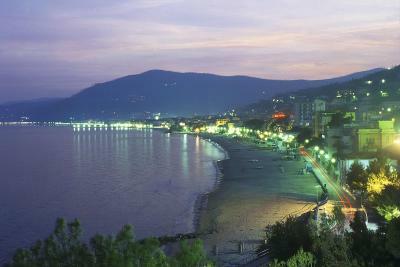 This is our guests' favorite part of Alassio, according to independent reviews. 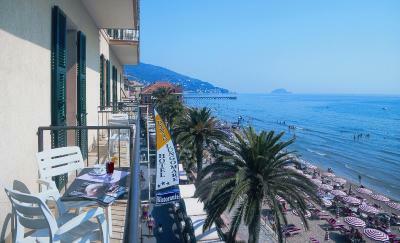 This property also has one of the top-rated locations in Alassio! Guests are happier about it compared to other properties in the area. 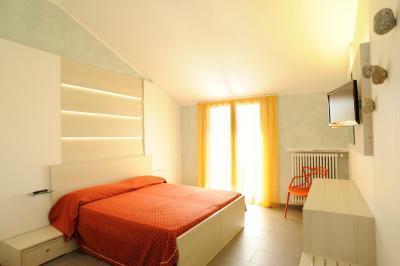 This property is also rated for the best value in Alassio! Guests are getting more for their money when compared to other properties in this city. 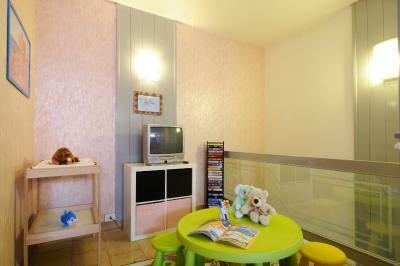 When would you like to stay at Hotel Danio Lungomare? 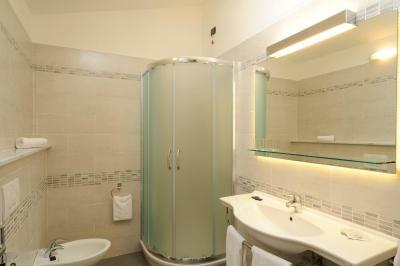 Fitted with tiled floors, this air-conditioned room comes with an LCD TV with satellite channels. 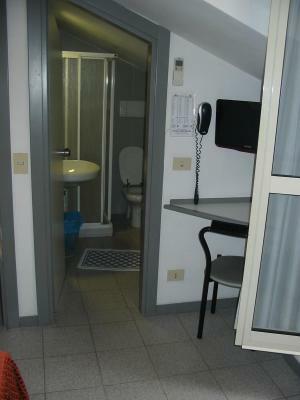 Its bathroom is complete with a hairdryer and free toiletries. 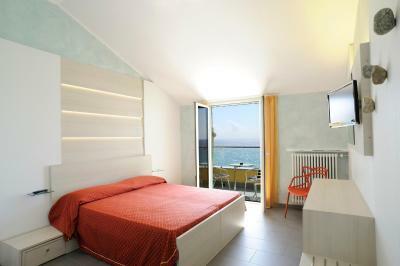 Featuring a sea view, this air-conditioned room comes with an LCD TV with satellite channels. 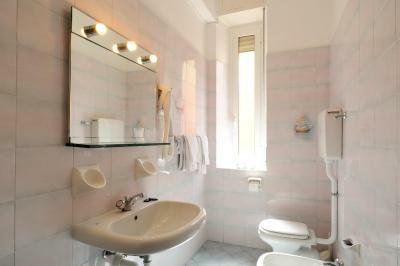 Its bathroom is complete with a hairdryer and free toiletries. House Rules Hotel Danio Lungomare takes special requests – add in the next step! Hotel Danio Lungomare accepts these cards and reserves the right to temporarily hold an amount prior to arrival. If you expect to arrive outside reception opening hours, please inform Hotel Danio Lungomare in advance. It would have been helpful to mention on booking.com that the hotel is difficult to reach by car. There is no vehicular access to the hotel itself. You have to find your way to a tiny street behind the hotel and walk from there. There is no way of dropping luggage at the door, as the hotel is located in a pedestrian zone. The evening meal in the restaurant may have been a little expensive but we were happy to pay for the quality of the food. We could also have chosen a €20 fixed menu. The bed was not the most comfortable we have slept in. Hotel in excellent location, insofaras it was in the main shopping street with plenty of local restaurants and was right opposite the sea. Room was very clean. It was simply furnished, no frills, but everything required was there. It had a small terrace which was mainly overlooked by other buildings but there was a tiny view of the sea as well. The staff were friendly and excellent. It is a family-run hotel and this is obvious throughout your stay. The family and staff really care about their guests. We ate in the restaurant in the evening. We hadn’t booked a table though and they were fully booked inside. They offered us a table outside but it was too cold and windy to sit outside in the evening. The staff therefore conjured up a small table and found a little space for us in the restaurant - no fuss, they just took it upon themselves to do it. The meal was simple but delicious. We enjoyed all of it. 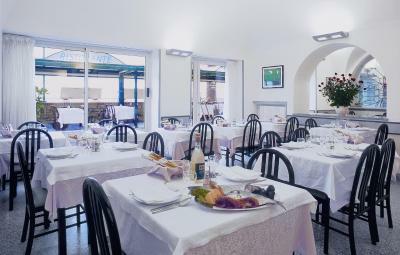 Breakfast was good and served buffet style, with hot drinks served by the waiting staff from the bar.